Author Sharon Bayliss is thrilled to share the cover for Destruction (Book One of The December People Series), a family drama about dark wizards living in Houston. 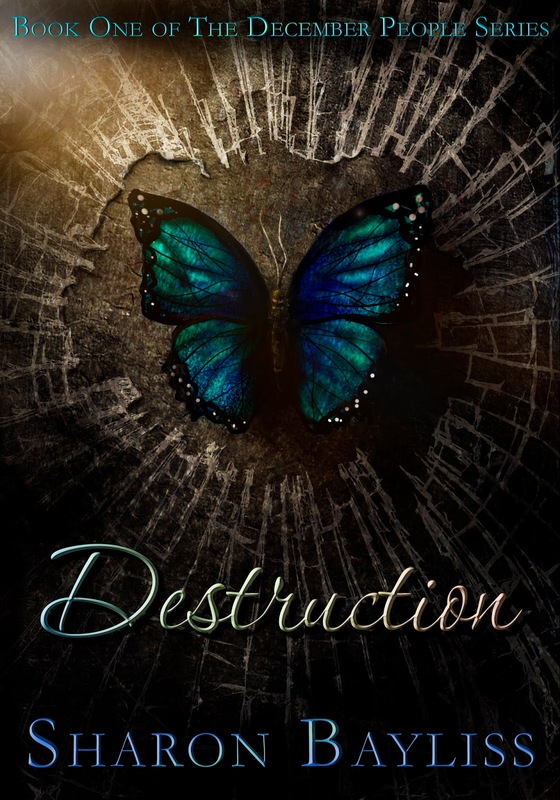 Destruction will release on 4/14/14 from Curiosity Quills Press. "The butterfly will show up on the cover of all four books in the series, as a symbol of redemption, hope, and re-birth. Despite the dark themes in the series, I believe that the most important themes of the series are hopeful ones, such as love, family, and triumph against adversity, which is why the butterfly is in the center. The broken glass surrounding the butterfly rather obviously symbolizes the concept of destruction, which is also a central theme. The title Destruction refers to the fact that dark magic is inherently destructive, but also refers to how a person can be destroyed, in body or soul. One thing I was sure of, I wanted the word, Destruction, to be in "pretty" letters. I loved the contrast of having a dark and violent word look beautiful. This also fits the theme, as I wish to show the beauty in darkness and destruction, and the good in people who are supposed to be evil." You can learn more about Sharon and Destruction on Goodreads and Facebook! Sign up for Sharon's newsletter: http://eepurl.com/NaBG9. Congratulations, lovely. The cover is absolutely gorgeous! Write drunk, edit sober... plot drugged?